Stuart Leeds New Yorker cartoon. Why is Kenneth Branagh's 1996 Hamlet so long? The seemingly obvious answer—it's long because, as Wikipedia says, it contains "every word of Shakespeare's play"—doesn't cut it because we don't know how long Shakespeare's play is. The versions of Hamlet most people read today are about 2,000 words longer than the longest early versions: the 1604 Second Quarto (Q2) has just over 30,000 words, while the version in the 1623 First Folio (F) has just under 30,000. ("Quarto" and "folio" are printers' terms designating how a book was made. Pages in a quarto were made from folding sheets of paper in quarters. Folio pages were made from folding sheets in half.) The earliest published Hamlet, the 1603 First Quarto (Q1), is far shorter, with just over 17,000 words. Q1's brevity results from its being a "memorial reconstruction," a play recreated by an actor from memory. In Shakespeare's day, any actor who could do this could trot down to the printers' shops near St. Paul's and sell a play without giving the playwright tuppence. Copyright laws protected printers but—until the 1710 Statute of Anne—not authors. The only Elizabethans who made money from published plays were the people who sold them initially, the printers, and the booksellers. Just as Amazon now both sells and publishes books—to authors and publishers who don't think this is a big deal, like Geena Davis in The Fly, I say, "Be afraid. Be very afraid"—Elizabethan printers and booksellers were often the same people. The first Hamlet was printed and sold by Nicholas Ling and John Trundell. We don't know which actor sold them the play, but we can guess which characters he played since in Q1 the scenes in which those characters appear are well rendered, while other scenes are sketchy or non-existent. This is why Q1 is shorter than Q2, which was copied from Shakespeare's manuscript, and F, which was copied from the company's promptbook. You might think these origins mean that Q1 lines are always inferior to Q2 and F lines, but it isn't so. During copying, lines got screwed up or left out, so Q1 lines are sometimes better—and thus considered more authoritative—than the parallel ones in Q2 and F. Naturally the better Q1 lines are ones the actor spoke on stage. He first appeared as Marcellus, one of the two soldiers who have seen the Ghost before the play begins. Marcellus accompanies Horatio to see the Ghost, helps tell the tale to Hamlet, tries to stop Hamlet from speaking to the Ghost, says "Something is rotten in the state of Denmark" (1.4.67), and swears not to reveal what he has seen. The Q1 actor also played Voltemand, one of the ambassadors Claudius sends to the Norwegian king. 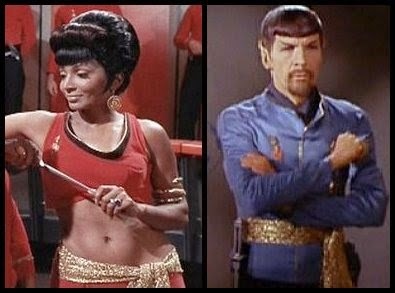 Doubling Marcellus and Voltemand necessitated a quick costume change since in the second scene the actor had to exit as Voltemand and return as Marcellus. Perhaps he and the actor who played Cornelius, the other ambassador, helped each other change, since the Cornelius actor might also have played Bernardo, the other soldier who has seen the Ghost. Because the Q1 actor was onstage so much, his Hamlet has a robust first act; it also has hearty second and third acts since in the second he returned as Voltemand, delivering news of the ambassadors' visit to Norway, and in the third he played Lucianus, the Mousetrap murderer who pours poison—"mixture rank, of midnight weeds collected (3.2.235)—into the Player King's ear. The fourth and fifth acts are scrawnier, but this doesn't mean Q1 is an unsatisfying read. (If you'd like to see for yourself, Cambridge has a modern-spelling edition with good notes.) Nor does it mean that this Hamlet doesn't work in performance. Q1 works well on stage, as I saw myself several years ago when the Blue Room Theater put on a superb performance over a hardware store in Chico, California (the Paris of Butte County). Part of the fun of a Q1 performance is hearing unfamiliar versions of familiar passages—the fourth soliloquy, for example, begins, "To be, or not to be; ay, there's the point"—but Q1 also succeeds on its own terms, gripping the audience as it moves toward a satisfying climax. In fact, Q1 works so well on stage that, despite overwhelming evidence for its being a memorial reconstruction, some people believe it was performed this way originally, as a touring version of the play. Even those who argue for this scenario don't believe Q1 is much like what was performed in the Globe. For that, editors have long looked to Q2, which was published by Nicholas Ling and a different partner, James Roberts. Though this version largely resembles the Hamlet most people read today, it lacks two passages found only in F: the attack on companies of child actors (2.2.325-36) and some of the best of Hamlet's to and fro with Rosencrantz and Guildenstern, the dialogue beginning with his saying Denmark's a prison and ending with his asking Rosencrantz and Guildenstern what they're doing in Elsinore. That dialogue includes familiar lines like "there is nothing either good or bad, but thinking makes it so" (2.2.244-45) and "O God, I could be bounded in a nutshell and count myself a king of infinite space, were it not that I have bad dreams" (248-50). Because these passages are so Shakespearean, editors long speculated that the Q2 printers omitted them accidentally or even intentionally because the attack on children's companies was dated and because the Denmark's-a-prison dialogue would somehow irritate King James's Danish wife more than the play's portrayal of an incestuous, insane, suicidal, and murderous Danish royal family. To get closer to what these editors believed was performed at the Globe, they added the F passages to Q2. They also added or substituted other clearly Shakespearean lines from F and Q1. 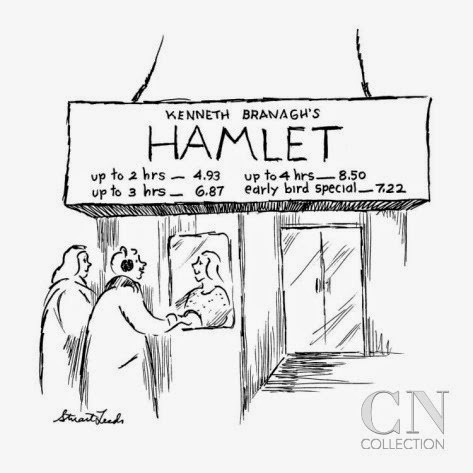 The added or substituted lines differ from edition to edition, but some form of this conflated text—a blend of Q2 and F with a sprinkling of Q1—is the Hamlet most people have read. In 1986, Oxford University Press published a radically different version. The Oxford editors argued that because the F Hamlet was copied from the promptbook, which Shakespeare would have overseen, F best represented a Hamlet he wrote for the stage. The Oxford editors thus made F their "control text," leaving out familiar Q2 passages like Horatio's comparison of the Ghost to portents that appeared before Caesar's assassination (1.1.106.5-19), Hamlet's speech on how a single "vicious mole of nature" can overwhelm a man's virtues (1.4.18.1-22), and—most significantly—his "How all occasions" soliloquy (4.4.9.22-56). This produced a Hamlet shorter than the conflated version most people had been reading. Kenneth Branagh used the Oxford edition for his film. If he had followed it faithfully, he would have made a shorter movie. He also might have made a better one since the film's weakest moment is his rendering of the "How all occasions" soliloquy. (I'll explain why in a later post.) But Branagh didn't want to leave out that soliloquy or the other familiar Q2 passages not in F, so he put them back in, creating a Hamlet text as long as any conflated edition. The edition it most resembles is the one in The Norton Shakespeare, which since 1997 has been one of the most popular complete works used in American college Shakespeare courses. Norton bought the rights to The Oxford Shakespeare but, in creating their own, avoided Oxford's more radical choices. 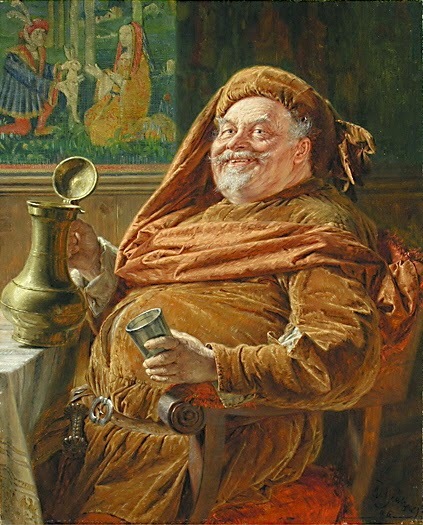 For example, we know that Shakespeare originally called his fat, drunken knight—his greatest comic character—Oldcastle, not Falstaff; Prince Hal plays with the name in their first scene together, calling Falstaff "my old lad of the castle" (1.2.37). Pressure from the historical Oldcastle's descendants forced Shakespeare to change the name. The Oxford editors decided to strike back at this centuries-old censorship by restoring the original name, calling Falstaff Oldcastle throughout the Henry plays. The Norton editors rightly let Falstaff be Falstaff. They also provided a conflated King Lear—as well the two distinct versions found in the Oxford—and they added the Q2 lines not found in F to their Hamlet, though they indented and italicized them. have students read two King Lears. In explaining these decisions, the Norton editors said they agreed with the Oxford editors' views of Hamlet and Lear but wanted to let "readers encounter [Lear] in the form that it assumed in most editions from the eighteenth century until very recently" (p. 2315) and allow them "to participate fully in the great cultural conversation about Hamlet that has occupied artists, critics, and scholars for generations" (p. 1667). That's probably true. It's also true that not many professors would have adopted the book if it didn't have conflated Lears and Hamlets. (I wouldn't have.) Only in an alternate universe, could teachers ask students to read two Lears, and most would like students to read a Hamlet with the "How all occasions" soliloquy and the other great Q2 passages. If Kenneth Branagh had left these passages out, the text of his film may have resembled a Hamlet performed in the Globe, but people wouldn't say he had filmed "the whole play," which is what they often say when arguing for his Hamlet's superiority to Olivier's or Zeffirelli's. The truth is that Branagh's Hamlet simply resembles the familiar conflated Q2/F Hamlet with which most readers are familiar. And that's a long Hamlet.